The multi-faceted pattern captures the eye immediately - The distressed / vintage look is bang on trend. A carpet to fall in love with, a modern gem for prestigious rooms. 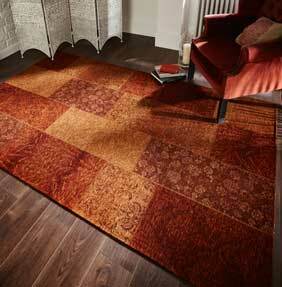 The Manhattan look is very modern, each colour in this collection is an eye-catcher and a guaranteed focal point. These rugs are perfectly tailored to modern colour-schemes and soft furnishings. The flat-woven, Jacquard weave is made from a blend of acrylic, polyester and cotton. Available in 5 colours and two sizes.